What happened is that, during the upgrade process, udev-068 was replaced by a flawed udev-70 which basically segfaults when used. As a result, no devices (i.e. no disks partitions) were created in /dev hence the kernel panic. The solution is, obviously, to downgrade to udev-68. Important : udev-070-r1 has since been released which corrects the bug. An update : It is possible to boot without using udev by passing “gentoo=noudev” to the kernel (via grub). You just have to downgrade to 068 or upgrade to 070-r1 for everything to work. It’s much easier than using a bootable CD-ROM. OpenOffice.org 2.0 has been released today! From the website, OpenOffice.org 2.0 is an open, feature-rich multi-platform office productivity suite. The user interface and the functionality is very similar to other products in the market like Microsoft Office or Lotus SmartSuite, but in contrast to these commercial products OpenOffice.org is absolutely free. It contains a word processor, a powerful spreadsheet, a multimedia presentation software, a vectorial drawing application and a database frontend. OASIS OpenDocument is the native file format. For those who live on another planet, this format will become the de-facto standard for document interchange in the coming years. Nearly perfect (in my opinion) compatibility with Microsoft Office documents (read/write Word/Excel/Powerpoint files). Multiplatform. The softwars runs natively on Linux, Windows and Solaris and two ports to Mac OS X are also available (X11-based and native Aqua/Cocoa/Java). Personally, I’ve been using OpenOffice.org 1.1 for years (I don’t have Microsoft Office either at home or at work!). I switched to 2.0 about two months ago (when it was still beta) and I’ve had ZERO problems. I have a little secret to tell you. 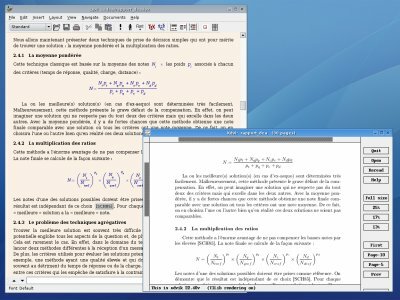 OpenOffice.org Writer may be a fantastic word-processor and may be a strong competitor to Microsoft Word, but the diminutive LyX (which basically is a nice graphical frontend to LaTeX) is the BEST application to use to write documents. Try it too. I’m sure you will be nicely surprised! 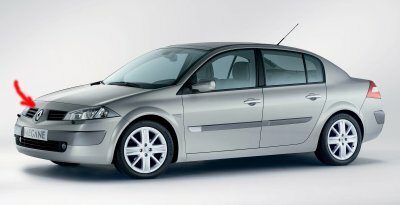 Now this is our car. 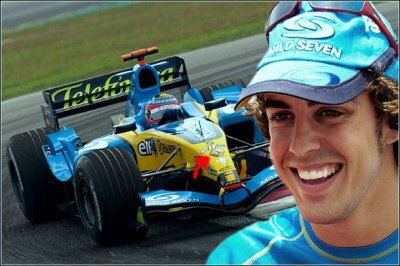 Notice something similar between it and Fernando Alonso’s car? Something indicated by a red arrow?? ?